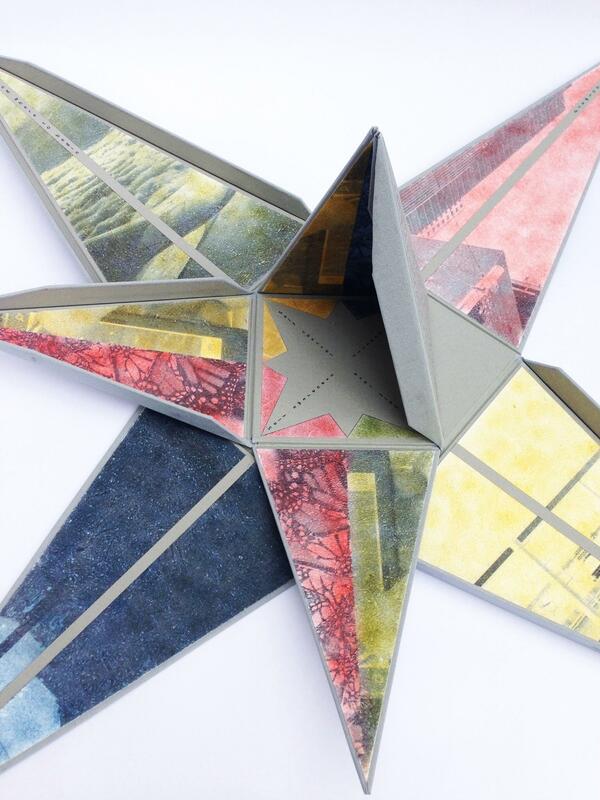 Ariel Hansen Strong is a book artist, printmaker, and designer residing in San Francisco, CA. She received her MFA in Book Art and Creative Writing from Mills College in 2015. 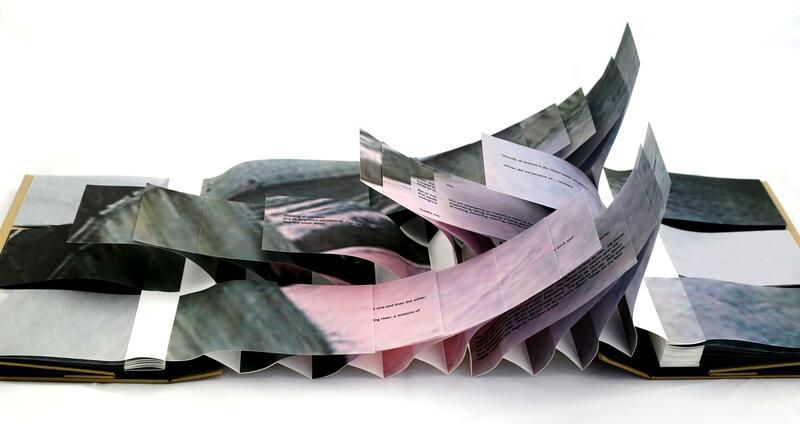 Her interest in book art began while she was studying sculpture at the San Francisco Art Institute (BFA, 2011). Strong's work has been exhibited nationwide, and is included in Special Collections Libraries at University of California in Berkeley, Washington University, Baylor University, and Mills College. 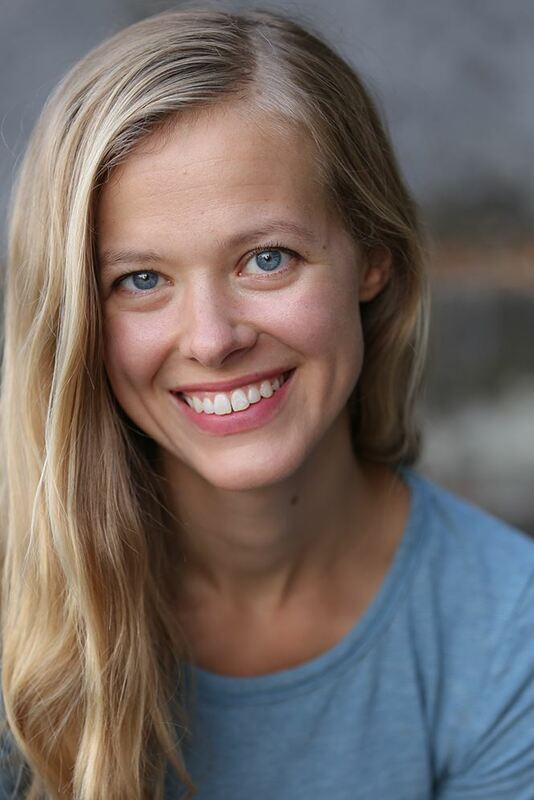 She currently serves as public education faculty at the San Francisco Art Institute, and as visual arts faculty at Interlochen Arts Camp, the summer program of Interlochen Center for the Arts in Interlochen, Michigan. You can see more of Strong’s work at her website, www.arielhansenstrong.com. I create work that focuses on socio-environmental concepts. I investigate the intimacies of landscapes, and use ecological ideas as metaphors for the body, relationships, and social issues. I find many links between the exploitations of resources, and those of our own bodies and minds. My work compares geographical sites to sites within ourselves, and excavates these sites in an effort to uncover what has been buried. I am interested in site specificity, and in ways that it pertains to both the landscape and to the self. 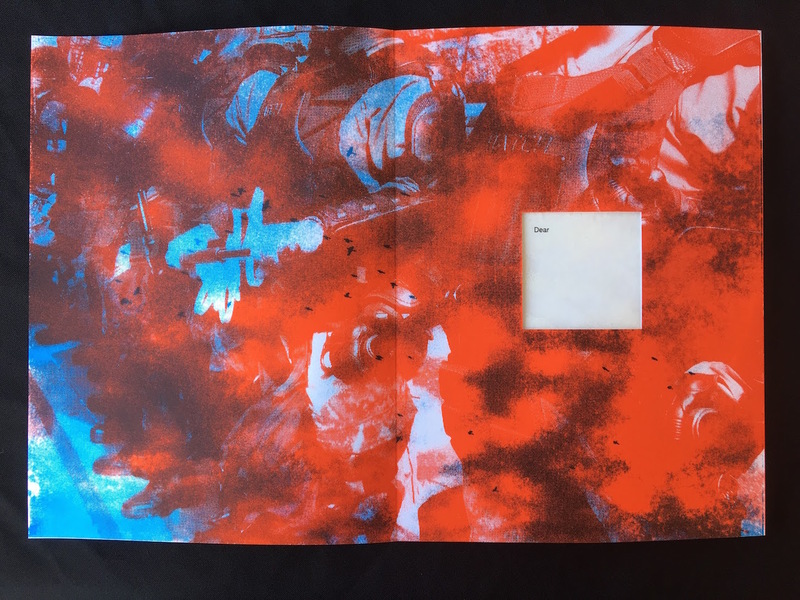 Accordion book with monotype and silkscreen printed imagery. The poem, a letter addressed to “peace,” is digitally printed on vellum paper windows, which let in light when the work is backlit. 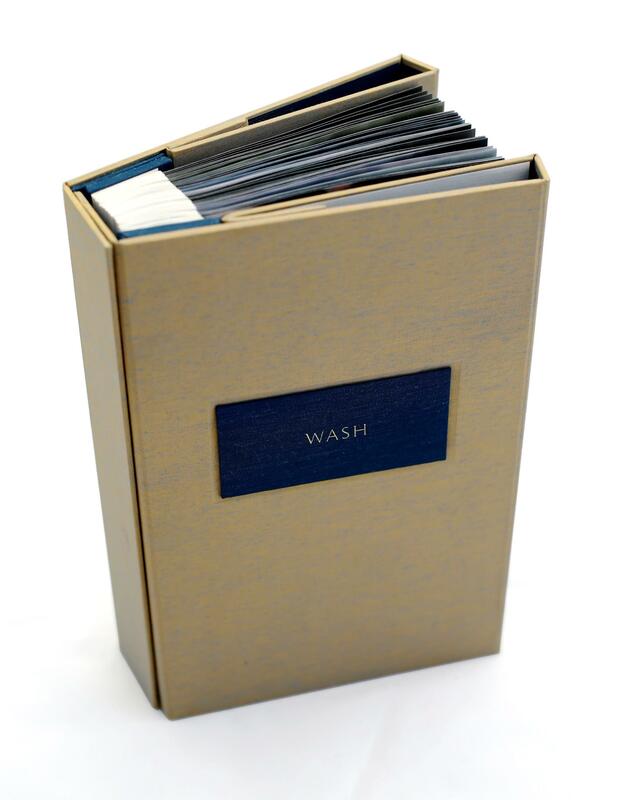 The book is housed in a clamshell box, and has an edition of 10. Elongated flag book that explores the substance of water from multiple perspectives: historical, poetical, and comparative in relation to water’s polar opposite, oil. The text and imagery was printed digitally on vellum paper. This book has an edition of 10. This pyramidal work was inspired and informed by Julie Chen and Barb Tetenbaum’s Ideation Cards. The work addresses how we navigate unique or uncomfortable social situations through a collection of found text. 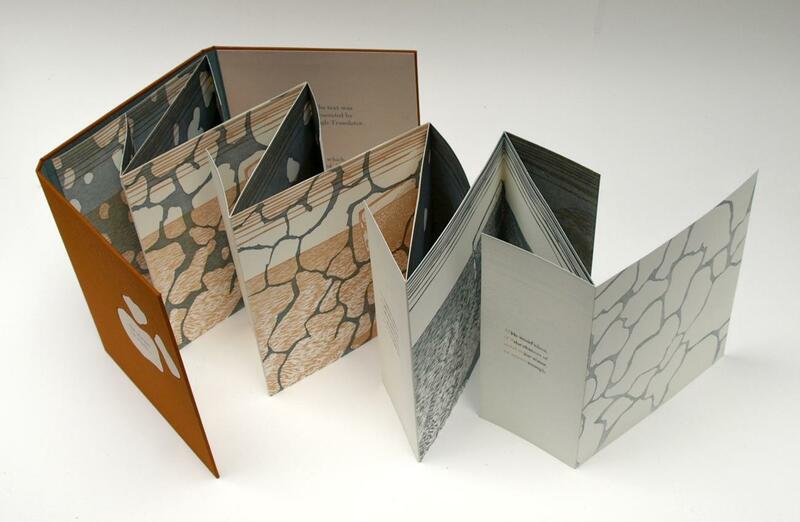 This dual-sided altered accordion book addresses the meaning of “erosion.” It was printed using letterpress and relief printing techniques, and is housed loose in a portfolio binding.